Our lives have become really hectic and that is why not everyone has ample time to enjoy. This has become part of our daily problems. No one has got time to take some rest from their work and enjoy with their family and friends. But the trend is needed to be changed. It is the need of the hour to get out and enjoy some time outside. Amritsar is a great place and Amritsar is even called the holy city of Punjab. No place can match the flamboyance of this place. If you are planning to visit Amritsar and enjoy some time there then you need to know about this fun activity in Amritsar that you cannot afford to miss out in Amritsar. This fun activity is presented to you by the city on pedals. This fun activity consists of so many fun activities. Basically, the fun activity is the bicycle tour, one will experience with the city on pedals. If you really want to enjoy Amritsar then you need to understand one thing that the best part of this great city is in the streets. And if we talk about street then you can never miss the bicycle ride in Amritsar. The small streets of Amritsar are the most significant and best part of this holy city Amritsar. This is one the most Adventurous activities in Amritsar that you can never allow to miss. So, one cannot afford to miss out on the streets of Amritsar and also on the great food in Amritsar. There are different parts of this fun activity and these things make it more special. So check out them. 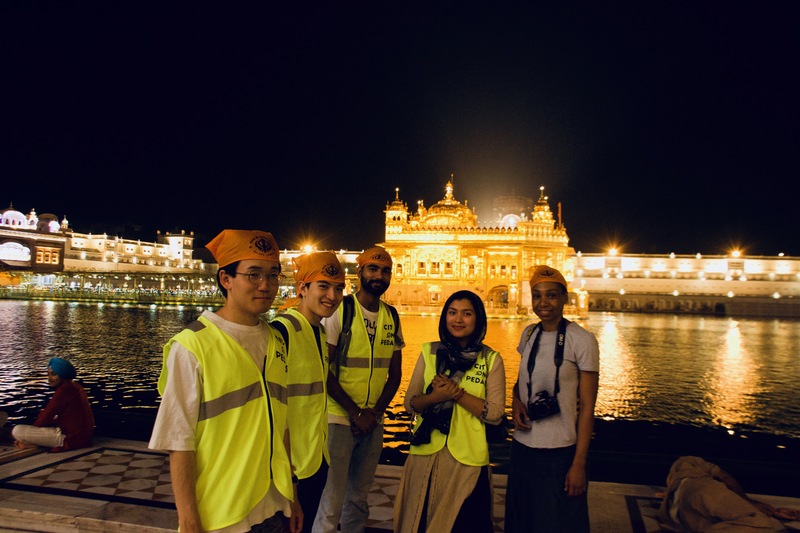 In this fun activity of city on Pedals, you will find through the different streets of Amritsar and check out the true beauty and cultural things of Amritsar. There are so many small shops of different items in these small streets. A place is obviously defined by its culture and Amritsar is defined by its cultural things and true culture of Amritsar lies in the small streets. There are so many different places in Amritsar and many places are of cultural importance and there is obviously some kind of history related to these places. So get to know the history of these places. This Cycling is a great activity and traveling in the streets of Amritsar with your wonderful Bicycle rider friend and family members is another great thing. You will be accompanied by the people of the city on pedals. Cycling timings are in the morning where one can do cycling in the beautiful and fresh environment of Amritsar. Punjabi’s love eating and that is why eating street from different vendors and famous Dhabas or places is the main part of this tour. 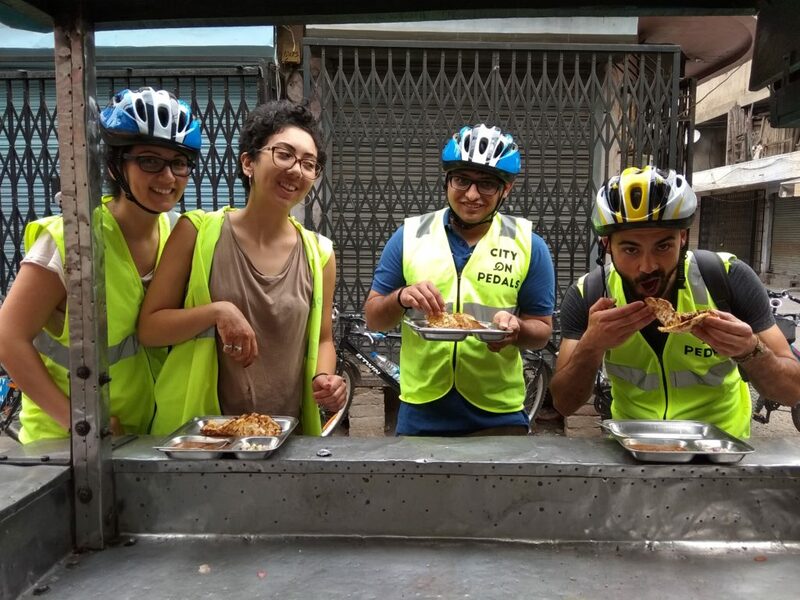 So along with the help of this bicycle ride, you can enjoy the Amritsar Street food tour. One can go for other tours as well. Like there are trips of Wagah border and other places. 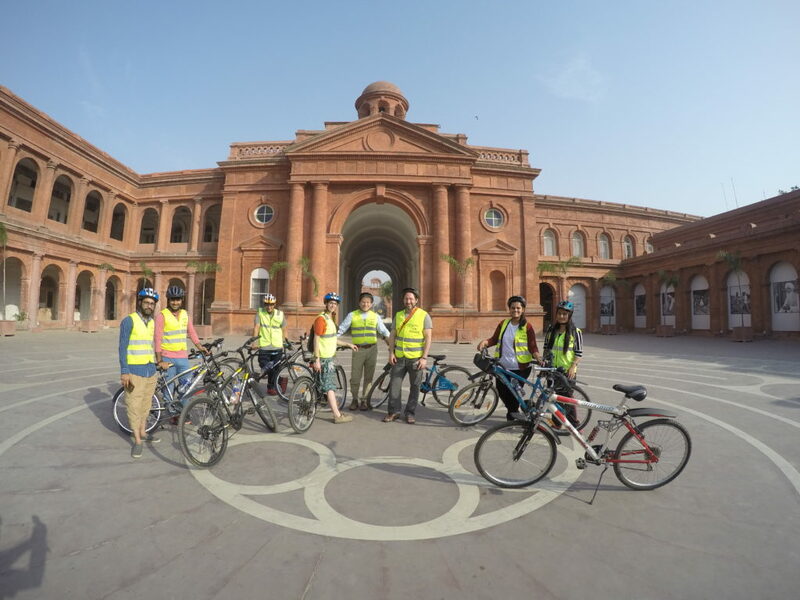 So, one cannot afford to miss out on this Bicycle fun activity in Amritsar as it is a really cherishing activity and a fun activity. No need to think much. Whenever you visit Amritsar then do not miss out on these wonderful set of fun activities by the City on pedals.